Soap. Bath Fizzies. Face Masks. Scrubs. Alfalfa is a green perennial plant that is a member of the pea family. All Natural. For external use only. Keep out of reach of children and away from eyes. Do not inhale. COMMENTS: I like that this can be used as natural healthy alternative. COMMENTS: The smell on this on my hot process soap was almost nonexistent and the silky feel to the water and the excellent color payoff were awesome. I went for an intentionally speckled look to get an even more natural looking bar and I'm so happy with it. COMMENTS: I love this Alfalfa Powder. I use it in a milk recipe. 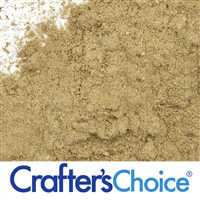 The natural coloring of the Alfalfa Powder is nice as well in the finished soap product. Great for skin. "One of my go-to colorants"
COMMENTS: I make Goat's milk soaps and primarily use natural colorants. This gives a pretty shade of green in my CP soap. It is easy to mix into your oils without specks, or you could infuse it. It does fade after a few months, especially if you do outside events. But that's not uncommon with herbal colors. COMMENTS: I've used this powder in both my cold and hot process soaps with no issues. It adds a beautiful light green color not to mention the benefits to the skin it provides. It is definitely a favorite and I will order again. 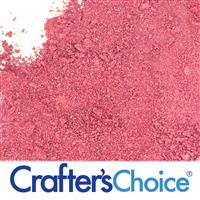 COMMENTS: I love to use powders that not only add a beautiful color, but bring something to the product. Alfalfa powder is definitely one of those. I love this shade of green in my products! COMMENTS: I started out with a small bag of alfalfa powder and have sent bought a bigger bag. 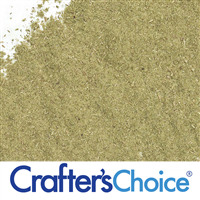 I love the natural greens you can get from this powder. The only downside to this is the smell. Ugh, it's pretty awful when wet, but luckily this slowly dissipates as the soap cures. Not enough of a downside for me to not continue using it however. COMMENTS: Love this product. I use it in 3 of the CP soaps that I make. Will definitely purchase again. COMMENTS: A nice addition to all my handcrafted products. Produces a beautiful green color in everything. COMMENTS: This imparts a beautiful, natural, soft green color (just like the picture) to Cold Process soap. It is not gritty - just a nice, smooth color. COMMENTS: I used this to color a cold-pressed soap worked perfect does not produce a green color more like a muddle yellow but nice. COMMENTS: Love this! Works amazingly in white bases. I was expecting it to be a very subtle color and was happily surprised with how much color actually comes through without being muted by the base. I love it! 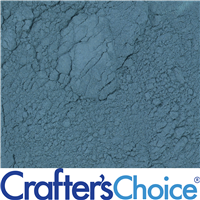 COMMENTS: a very light volatile powder that blends well with hot process soap. I tried adding it at the end of the process right before molding the soap and I got a very nice lime color I was looking for. I recommend it & would buy it again! COMMENTS: This gives my products the perfect shade of green. Will buy again. COMMENTS: Great bright green, no big amount needed to get a beautiful color. COMMENTS: I use alfalfa powder as a natural colorant in soap. At first it produces a nice shade of green but I have experienced two problems. First, it is very difficult to dissolve in oils. 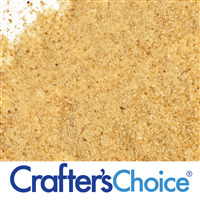 For many of my products this is ok because I kind of like the speckled effect and it does not make the soap scratchy. The bigger problem is that the green color does not last. By the time the soap has completely hardened it turns more brown than green. • not good for obtaining a green color. 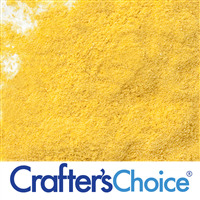 COMMENTS: Wonderful powder that colors soaps well and adds vitamins to the skin. 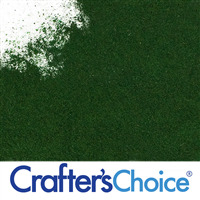 COMMENTS: This powder made my body scrub bars a gorgeous almost Jade green color. The only downside was a slight grassy scent to the bars, but the beautiful, full quality of the color more than made up for it. And there was plenty in the little package I got. I don't know if its because I work mostly with oils and butters, but a little went a long way in coloring. COMMENTS: Added to my cold process soap giving it a medium green color. COMMENTS: Use it to color CP soap. Produces a light to medium green and I also love to have the benefit of the additional minerals in it. It is easy to work with. 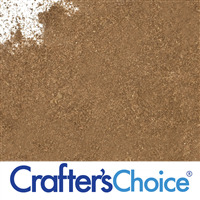 COMMENTS: Nice earthy scent and adds wonderful minerals to my products. COMMENTS: Works great. A bit on the light side for color. "Great for coloring MP soap"
COMMENTS: I love the green coloring it gives to the MP soap. COMMENTS: I love that I am able to color naturally. This makes a nice green color...not bright, but what you would expect from a natural source. Great buy! "Works great as a colorant in HP soap"
COMMENTS: I was skeptical, but alfalfa powder makes an excellent color in HP soap. You can get a deep forest color, to a barely there sage green. Mixes well with almond oil. "Beautiful soft green color !" COMMENTS: This gave my cucumber melon soap a lovely soft green color, exactly what i was looking for! Will definitely be ordering again. COMMENTS: I really like this one. 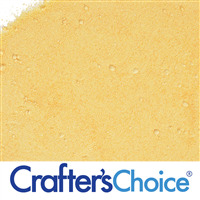 Works well in several of my soaps from a very light color to a darker green color. Definitely keeping this as a go-to color. "Used for coloring in cold process"
COMMENTS: I really like this product. I used in cold process soaping and it's a pretty lime green color and cpop it's more of a true green, think grass. When I added the powder at trace it mixed really well with little clumping and did not seem to speed trace at all. 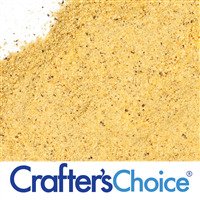 COMMENTS: I like to color soaps naturally and this alfalfa powder is a plus!! Easy to incorporate too. COMMENTS: Customers love it and so do I. Adds amazing properties and blends right in. COMMENTS: I like using natural colorants for my soap and thought this would be a good color to go with some Christmas woody pine fragrance I have. I think the alfalfa gave it a slight smell, that has kindof faded over time. COMMENTS: This is an amazing powder that gives a wonderful green coloring to my soap. VERY NICE and I know I will be using it over and over again! 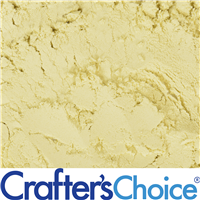 COMMENTS: Works well and creates a very pretty light green color for my goats milk soap. Just what I was looking for. 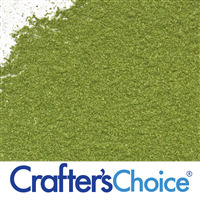 COMMENTS: I used this in a soap as one of three shades of green-- very pretty and natural. COMMENTS: So far I've only used this to color my bath bombs with! I put some in a coffee filter & put it in my rubbing alcohol to infuse the color! Worked out well for my watermelon bombs!! "Natural way to get green"
COMMENTS: This gave a nice medium green. It smelled like hay, well alfalfa out of the package but there was no trace of the smell after it was combined with everything else. It gave a nice medium green. COMMENTS: I love the color this gives my MP soap. I use it to color my tea tree soaps a light green. It's hard to get all the powder to dissolve, but I like the small round flecks it leaves behind. Looks great! COMMENTS: Added great color to my soap. So easy to use. Mild scent. COMMENTS: I absolutely love Alfalfa powder as a colorant, not even considering the health benefits it brings to your soap. The color is a beautiful green. One of my favorites. I have tried dissolving it in melted MP and also glycerin. Dissolves much easier in glycerin. There are miniscule flecks of green uniformly suspended throughout, a lovely effect. COMMENTS: I used this alfalfa powder as colorant in some body cream I made. It was great! COMMENTS: Perfect natural green color for my Eucalyptus & Rosemary soaps. Alfalfa powder smell is very faint, almost non-existent, and it didn't interfere with fragrance. COMMENTS: I used this as a natural colorant in a sugared spruce soap. I had to use quite a bit more than I expected to get the darker color I wanted but it came out very nice and I would use this again. The soap was great and sold out quickly. COMMENTS: I used this in my HP soap that was eucalyptus spearmint and did a swirl with TD in half and this alfalfa powder in the other half and it was beautiful. "great natural coloring for my soaps. " COMMENTS: Worked well for coloring with my soap, just mixed with a little oil additive and added it into the melted soap and it worked perfectly. 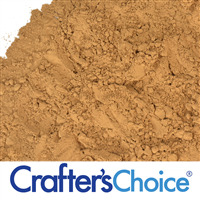 COMMENTS: This is perfect as a natural colorant! It gives soap a perfect natural-looking green hue. Definitely my go-to for green colors. 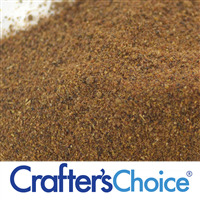 COMMENTS: It has so many wonderful benefits and adds a great deal to the quality of products. COMMENTS: I bought this product because I want to dabble in using other types of colorants besides oxides in my soaps and this stuff works AMAZING. It doesn't take alot to get the desired color. I used it for a lemongrass soap I made and I LOVE the color. COMMENTS: Turned out well in my CP coaps. 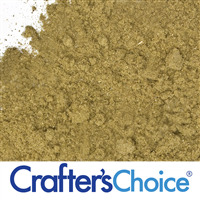 I still like more of the oxide green powder color, but this is great if you're looking for a more true, natural color. 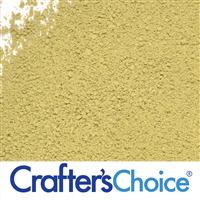 "nice yellow green-easy to add"
COMMENTS: I used this and the chamomile powder in my cold process soap. I alternated the two batters and it turned out so pretty. Light, earthy green. Will buy again! 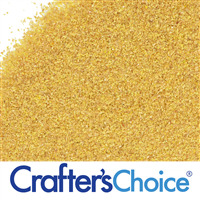 COMMENTS: Used this as a colorant in various process soaps. Beautiful green color. COMMENTS: I used this in CP soap to make some lime colored swirls, its looks great, the smell faded away! COMMENTS: Nice addition to facial mask. received high reviews from customers! COMMENTS: Very happy with results, and keeping it natural! 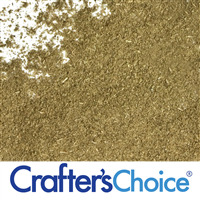 I mix this with a small amount of oil - and love the pale green color it produces. COMMENTS: I used this as HAY embeds in my Country Duck Squirt Soaps. I blended it with alcohol and added it to white Detergent Free MP with no fragrance. It blended really well with no spotting to a nice green ALFALFA HAY color. A bit of an alfalfa smell but not bad even for my unscented soaps. After a week I noticed that the color has started to fade to a lighter green. These are place on a display in my store away from a window. I also had an extra chunk of soap that was not used and left in an area exposed to direct sunlight. After about a weeks time the soap had faded to a very pale green almost white. Shouldn't surprise me much my hay fades in the sun as well. Even with the fading I still really like the product and plan on using it in other applications in the future. 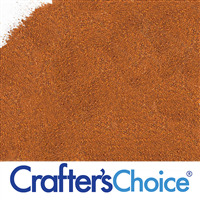 COMMENTS: It's so nice to have a natural colorant that colors so well! I put 3 teaspoons in my 4 lb batch of cp soap (minus about 2 cups that I swirled in later), and it's the perfect lime shade for my coconut lime soap. Love it! It clumped a bit when I added the powder directly into my soap after adding the FO, but with some good stirring I got most of the clumps out. Good stuff! COMMENTS: This makes such a cool speckled green color! I love the effect natural colorants have in MP. This has a green scent to it but once you add fragrance oil it goes away! "Power House in Skin Care ! " COMMENTS: I was afraid this green would be too light but it is the perfect shade in my fizzies. There is no smell and the color does not stain. COMMENTS: Beautiful deep green shade in CP. COMMENTS: I try to use mostly natural ingredients in my soap making and this is the perfect green color that I was looking for. I sometimes mix it with the sea clay to get a darker green. "great green color in cp soap"
COMMENTS: I used this as a colorant in one of my cp goat milk soaps. 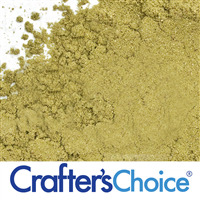 Produced a great green color and I love that it is a natural product. COMMENTS: This color leaves a nice green in my melt and pour soap, but I did a very light scented soap and I could smell alfalfa in my finished product. COMMENTS: this is a great bright green! "Good color in CP soap"
COMMENTS: I like the color it produces in CP soap! It's a brighter green than rosemary powder. I did notice that if you use a fragrance with vanilla w/o a color stabilizer it will change the color to brown, but that's to be expected I guess! COMMENTS: Some folks just love to know they are using products that are 100% all natural. This product allows me to offer that option with intense coloring as well. This is a bright color, doesn't bleed in your products but it does smell a little funky, not as much as some of the other natural colorants, that's for sure, but it does smell a little. 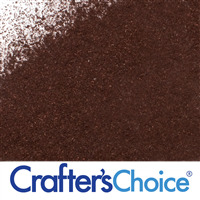 The color is very pretty so the smell is easy to overlook, just use a little more scent to offset it. Another Great Item from WSP! COMMENTS: Used in hot process soap and it makes a very bright green color almost neon. I was surprised it has a smell but it doesn't transfer to the soap when cured. COMMENTS: I LOVE the green that is produced by using alfalfa in soap! It's a bright lime-green color. I added the powder directly to soap, and I didn't feel any grittiness or anything. I will try infusing this one and adding it to lotion to see how it looks. It's such a happy color and pairs so well with lime-themed fragrances. "Alfalfa powder for natural color"
COMMENTS: I made a loaf of soap for a bed and breakfast using the alfalfa powder as the coloring agent. Wow. The color was magnificent. It did impart a slight odor but after mixing with the fragrance and the soap base, the odor wasn't detectable. It was truly lovely. 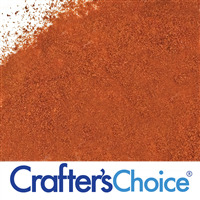 "I'm looking for natural colorants for melt and pour soap. It would probably be speckly, but has anyone tried it in M&P?" Staff Answer We have made soap with alfalfa powder. We have pictures of this listed for this product. Click on "Images (7)" under the product picture and you will see what it looks like to MP soap. "Will this stain your tub if used in bath fizzies?" Staff Answer It may if you use quite a bit to get a dark color. 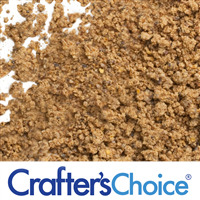 If lightly added, it should not stain but we do recommend adding Poly 80 to your recipe. "if I use this to color my bath bombs does it need to be batch certified in order to sell it? thank you for your time." Staff Answer It does not need certification because alfalfa powder is not an approved cosmetic color. It is a great addition to your bath fizzies because it is high in vitamins and it just happens to turn your bath fizzies green. You would put alfalfa in your ingredient label, but not as a colorant. "Hi! 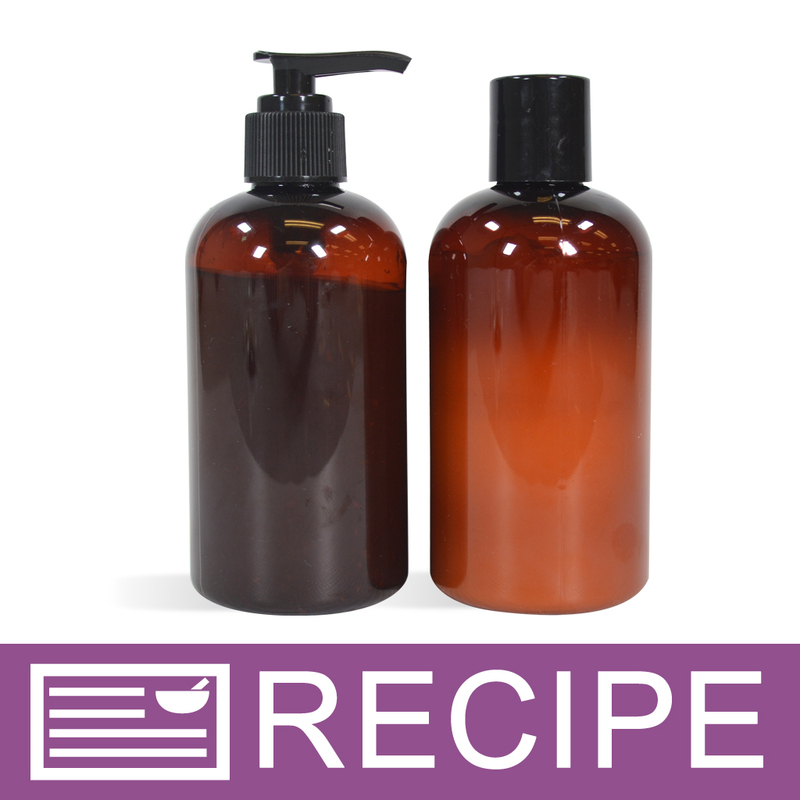 In the description, it states that Alfalfa powder acts as a foam booster in liquid soap. How does this happen? I looked online and can't find any info this.I would love to understand the reason, thanks. " Staff Answer We do not have any further information on this other than what is listed on our website. We have used this in a soap and it does create more lather. "would you use this in bathbombs to for great properties and color property?" Staff Answer Hi Jessica, yes, you can use the Alfalfa Powder in bathbombs. "Can I add this to a solid lotion bar?" We do not recommend using Alfalfa Powder in a Solid Lotion Bar because it is not oil-soluble. Click Here to view our Learn to Make on Lotion Bars! 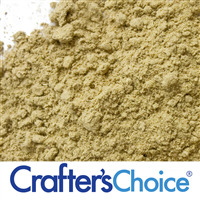 "I am formulating a dry ingredient face wash using milks clay and herb powders. I would like to know if I use the alfalfa powder in my product if it would make a lather. If not, do you have a dry product that makes lather/soapy bubbles? Thank you." Staff Answer I have not found Alfalfa Powder to produce any type of lather. 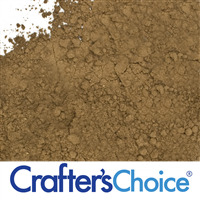 The only powdered lathering agent we carry is our Lathanol Powder. This is an extremely airborne product and may not be the best addition to a dry face mask. 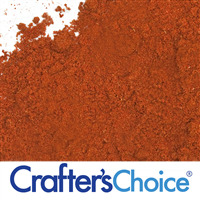 "are all your natural pigments chemical free? With no synthetics"
Staff Answer We cannot make any generalizations regarding a category of products. Please feel free to contact customer service for further assistance. "I used it in my CP soap. It was beautiful olive green when I cut it but then it turned yellow after a month. Any idea why? " Staff Answer We cannot be sure why this happened. There may have been a reaction to an ingredient in your soap, such as a fragrance oil. The color can turn brown if there is vanilla in your fragrance so this could be what happened with yours. "Can these natural colorants be used in rebatch soap? Will they mix in well?" Staff Answer Yes you can use these colorants in HP Soap making. They should be mixed with a carrier oil or glycerin before adding to your HP batch to help them mix evenly. "Has anyone had an issue with this powder turning brown in bath salts? I used this with the lemon powder in a bath salt soak, and now 10 days later, it is turning brown in the jar. " It is possible that the highly acidic nature of the lemon has caused some oxidation of the powder. Anytime you have oxidation, it will usually result in a browning of your color. "How much should be used in a face mask?" Staff Answer There is no set amount that you can add for a face mask. "If I use this in a facial mask does it have the possibility of staining the skin?" In the description it states that it is a popular additive in face masks so I'm sure there hasn't been any experience of it staining the skin. I would just use a small amount and test it out until you feel comfortable that there's no staining that's going to happen. "How much alfalfa powder should I use per pound of oils in cold process soap?" 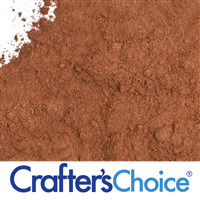 If you are using it for natural coloring you can start with a teaspoon per pound, double/triple for darker shades. Go sparingly as a little can go a long way. It does have a smell, but for me it hasn't transferred during the curing process. 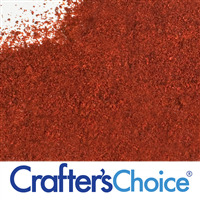 I have used a tablespoon per pound without any issues or color bleeding for a darker color. "Are these natural colorants water or oil soluble?" 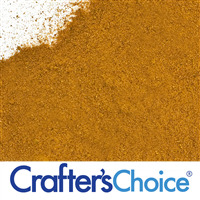 I use natural colorants as often as I can in my products, I havent had any problems using them in water or oil. They can be used in both oil and water and open up a whole realm of creativity! I love them in CP soap. Alfalfa leaf is very rich in minerals and nutrients including calcium, magnesium, potassium, carotene, eight essential amino acids and phytoestrogens! It makes a great facial mask as the phytoestrogens may have anti-aging effects for more youthful skin. "i was wondering if these are food grade herbal powder you sell? edible?" Staff Answer Hello Bobbie, While some of our products may be food grade our repackaging facility and warehouse do not meet the FDA standards for a food repackaging facility. Since these products are repackaged in the same facility as products that are not safe to ingest there is a high rick of cross contamination. Therefore we do not recommend the use of our products in any food preparation whatsoever. Thank you for your question. "Can Natural colorants be used to color lotion?" Some natural colorants may give a grainy feel to lotions and may discolor skin or clothing, so I would suggest not using them in products other than soap.